Zen Zen Zo is one of Australia’s leading physical theatre companies. 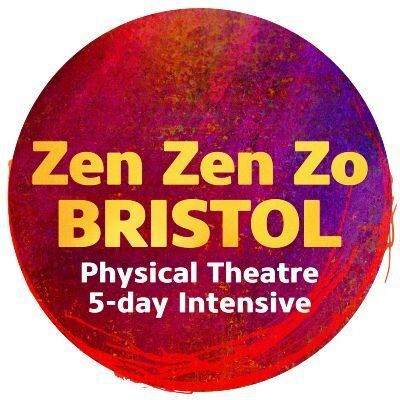 Renowned founder and director Lynne Bradley of Zen Zen Zo is coming to Bristol for the first time ever to offer this high quality 5-day intensive. The course introduces Zen Zen Zo’s specialty actor-training methods – Butoh, the Suzuki Method, Viewpoints and the devising technique of Composition. This holistic training experience offers a solid base in these approaches and focuses on cultivating presence. It is also a journey of transformation – both personally and professionally – as participants take time out to be with themselves, their craft, and other like-minded artists, educators and creative souls. Zen Zen Zo Artistic Director Lynne Bradley has worked with the founders of these forms and taught them all over the world. She is a leading pioneer of physical theatre in Australia, and renowned for her innovative work with contemporary performance forms such as site-specific, immersive and intimate theatre. This intensive training package has been offered all around Australia, as well as in New Zealand, Canada, Singapore, and Hong Kong. This is the first time this training has been available in Europe. The course is suitable for people with or without previous experience in these training methods.